Cindi Beavers beaversci@hcosd.org or at 970-854-2284. Our graduation requirements are the same as Holyoke High; however, we do have some flexibility as to the required and elective courses available. While Alternative High students may take classes at Holyoke High (in fact, all students must take at least one Physical Education class and the ICAP course), to fulfill our graduation requirements, our principal curriculum is provided by Odyssey Ware, an online service with nearly 100 offerings including foreign languages (Spanish and French) and a wide variety of electives. Once again, please remember that Alternative students may sign up for Holyoke High required courses and electives as well, such as Choir, Band, Accounting, Ag courses, etc.Welcome to Holyoke Alternative High. This school, as an adjunct to Holyoke High School, was established as a viable alternative to the traditional educational format found in most high schools across the country. Too many students today, because of personal or academic difficulties, become frustrated, bored, or simply indifferent toward their academic growth and choose to drop out or simply to fail. 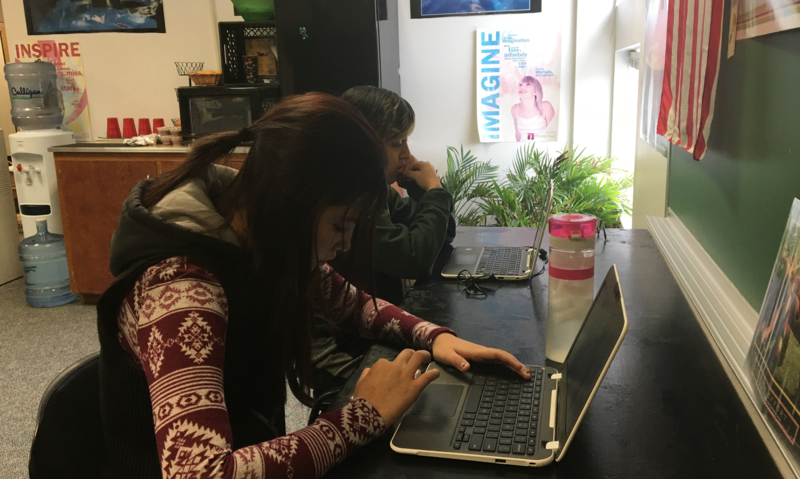 We at Alternative High are attempting to provide these at-risk students with a more flexible approach, both in time and format, relative to the traditional high school. As far as the daily schedule is concerned, students will be expected to be in the building by 9:10 every morning unless they are in class at Holyoke High or other arrangements have been made. 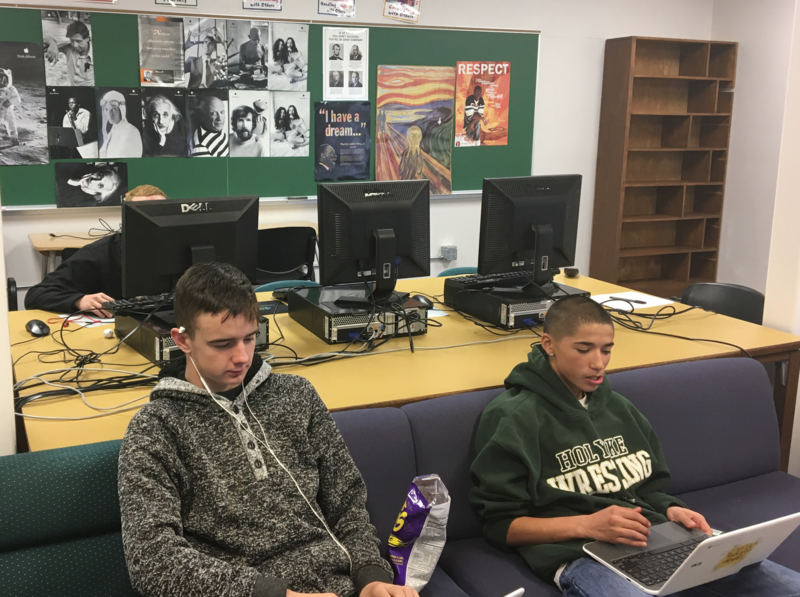 We use the same lunch time as the High School as well; however, if the Alternative High students have demonstrated ample progress with their Odyssey programs, there will be an opportunity for them to be released Monday through Thursday as early as they complete lessons and on Friday as early as noon. We also strongly encourage them to find work opportunities during the day, at night, or on the weekends that can be translated into elective credit.Other resources we have been developing are the talents and backgrounds of various community members. We hope to offer a wide variety of mini-courses from logic and reason to speech to the culinary arts to computer video editing, and more.